When Volvo introduced the current XC90, the family-sized SUV represented the start of a transformation for the luxury brand. The XC90 introduced the company’s scalable vehicle architecture, new family of Drive-E powertrains, Sensus infotainment system, driver assistance and collision avoidance technologies, and a critically acclaimed design language. The SUV was a hit around the world, and Volvo has sold more than 320,000 examples of the XC90 since its debut. Now, for the 2020 model year, the Volvo XC90 gets a subtle visual refresh accompanied by new powertrain technology as well as enhanced infotainment and safety systems. In accordance with the adage that you don’t fix what isn’t broken, the 2020 Volvo XC90 looks pretty much the same. The grille is different, there are a few new paint colors, and the aluminum wheels are redesigned. Changes to the interior are more significant. In addition to new materials, including a wool-blend upholstery, the 2020 XC90 is available in a new 6-seat configuration. This is in addition to the existing 7-passenger seating arrangement, and the 4-passenger layout in the top-of-the-line Excellence trim level. The biggest news associated with the 2020 XC90 is the debut of new mild-hybrid powertrain technology. Volvo is making a new kinetic energy recovery brake-by-wire system available with its existing combustion engines. This technology is expected to increase fuel economy and decrease emissions by 15%. When equipped, the XC90’s model designation changes from T5 and T6 to B5 and B6, and Volvo expects these versions of the powertrains to become standard in years to come. Separately, Volvo has upgraded production capacity so that it can build more T8 plug-in hybrids, bringing the mix as high as 25% as demand warrants. 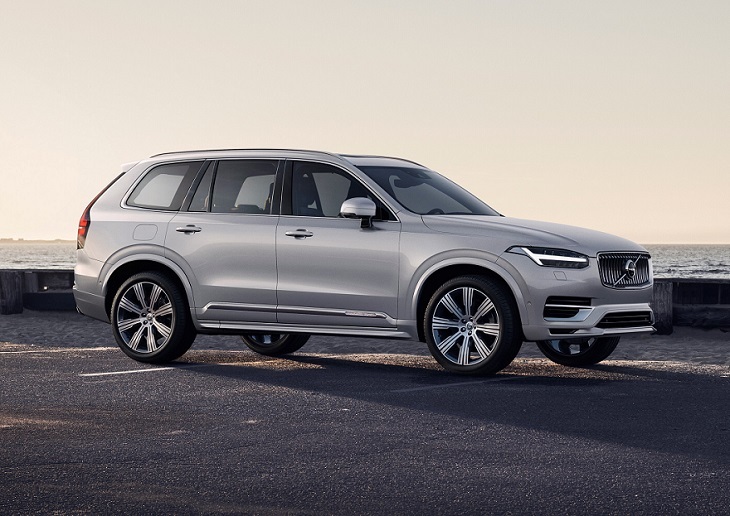 The XC90 T8 also gets a new battery for 2020, delivering a 15% increase in electric range, as well as the new brake-by-wire technology. Your safety is important to Volvo, and the company has upgraded the XC90’s ability to assist a driver and to prevent a collision from happening in the first place. New steering assistance is added to the XC90’s City Safety and blind spot information systems, and the SUV’s cross-traffic alert technology now includes automatic braking. An Oncoming Lane Mitigation system is also available, which identifies if the XC90 has crossed over the center lane and can take evasive action if necessary. Volvo has updated its Sensus infotainment system on multiple occasions since the XC90 first debuted. For 2020, it now offers Android Auto integration to go along with the pre-existing Apple CarPlay capability.